It started as one of those perfect days, that high-blue autumn sky Saturday morning on Oct. 25, 2014. 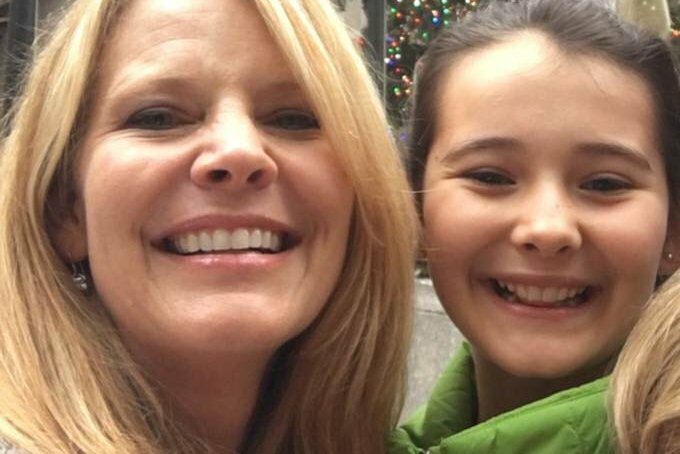 Leslie Gudel and her daughter, Kendall Kemm, were heading to a softball tournament. Kendall was excited. Her coach had told her that she could actually play at the catcher's position for the first time. Kendall just had one problem. Her left foot wasn’t working, she told her mom. She had tripped into the refrigerator the previous night, after blowing up balloons, and she felt a tingling sensation in her left pinky finger. She blamed it on tying those balloons. But the subtleties persisted. When Kendall arrived at the field for her game, the mother of a friend, who had a medical background, thought enough to run her fingers up the back of Kendall’s legs. The left felt differently than the right. "That’s when I took Kendall to the hospital to get it checked out, and when concerns began to grow,” remembered Gudel, Comcast SportsNet’s veteran Phillies reporter. On the drive to Bryn Mawr Hospital, Kendall dropped the water bottle she was holding in her left hand numerous times. By the time they reached the emergency room, she was leaning on her mother to walk. Kendall, at the age of 10, was suffering from a stroke. A very large Arteriovenus Malformation (AVM) had ruptured in her head. Kendall and her family had had no idea the defect existed. Kendall has since learned she has three aneurysms that could still pose a great risk — including one on her middle cerebral artery. Even today, at 12, she remains at risk of another stroke. Courageously, the young girl managed to turn a negative into a positive by founding Kendall’s Crusade, an organization she formed with her mother and family to help other AVM and aneurysm survivors, and seek a cure. According to the American Association of Neurological Surgeons (aans.org), AVMs are a defect in the vascular system. In a healthy vascular system, blood carries oxygen through the arteries away from the heart to the rest of the body, then returns the oxygen-depleted blood through veins back to the heart and lungs. Capillaries connect the arteries and veins allowing the blood to slow and deliver oxygen. AVM, a tangle of unnecessary blood vessels, disrupts that flow, causing the veins and arteries to connect without the presence of capillaries. The resulting uptick in blood flow through the AVM increases pressure on those veins and arteries, which can spontaneously rupture. They are considered to be a congenital defect, although recent research has identified possible genetic links, as well as other possible factors in their development. AVMs don’t discriminate. An estimated 18 of every 100,000 people have one. Often patients with an AVM experience no symptoms and their AVMs are discovered only incidentally, usually either during an autopsy or during treatment for an unrelated disorder. Or when blowing up balloons, an activity that placed pressure on Kendall's brain, triggering the AVM. Gudel remembers well the day she took her daughter to the hospital. “I thought Kendall had a brain tumor, I didn’t think stroke,” Gudel recalled. “At first, I had no idea what was going on. They transferred Kendall to duPont [Hospital for Children]. I called my husband [Jamie Kemm] to drive in the ambulance with her, while I went back home to get her clothes. I remember sobbing on the way home thinking something not good was happening. Gudel leaned against the hospital wall that day crying, holding Kendall’s grading scale in her hand. She knew that former Philadelphia Eagles defensive tackle Mike Patterson had suffered an AVM during training camp before the 2011 season. (His was eventually removed by surgery.) But while the athlete's AVM was smaller and closer to the surface, Kendall’s is larger and deeper in her brain. Kendall Kemm and her parents, Leslie Gudel and Jamie Kemm, learned quickly that none of Philadelphia's hospitals treats adolescents with inoperable AVMs. She was treated by a specialist at the Stanford University Medical Center. “It was hell, absolute hell,” Gudel said of the initial shock. “Kendall didn’t want to hear any of it for a while, but through time, she began listening. Her physical therapist told us she never came across someone who recovered so quickly from an AVM rupture." The path to treatment, however, was challenging. "What we learned shortly after is that there is really no one in the city of Philadelphia, as great a medical city as this is, that treats adolescents with inoperable AVMs.," Gudel said. "We were turned away by a number of places." Meanwhile, Ed Snider, the Philadelphia Flyers' chairman who died earlier this year, and David Cohen of Comcast, reached out to the family to ask what they could do. 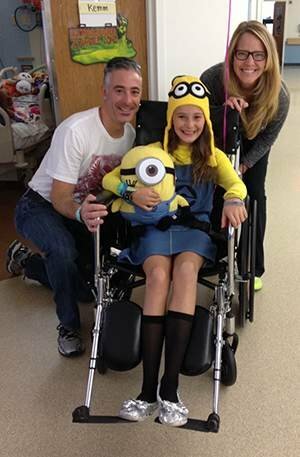 One AVM specialist in Philadelphia wanted to wait and treat Kendall when she became an adult. But the family learned later that Kendall already has three aneurysms. The family kept digging. There are three means of treating AVMs, the family learned: surgical removal, embolization or stereotactic radiosurgery, and using radiation to shrink and hopefully obliterate the AVM. Kendall began radiation treatments on March 4, 2015. General show tickets – $150 per adult – includes comedy show with Craig Shoemaker and one-hour cocktail reception before the show. VIP show tickets – $250 per adult – includes the comedy show and two-hour cocktail reception with athletes and TV personalities from the Philadelphia area. The annual rate of rupture for brain AVMs is believed to be around four percent. The rate, however, climbs with the presence of four aggravating factors: hemorrhage, deep venous drainage, aneurysm or deep location in the brain. Kendall had all four of those factors, more than tripling her risk of rupture. “We found out later that Kendall was a ticking time bomb,” said Gudel. 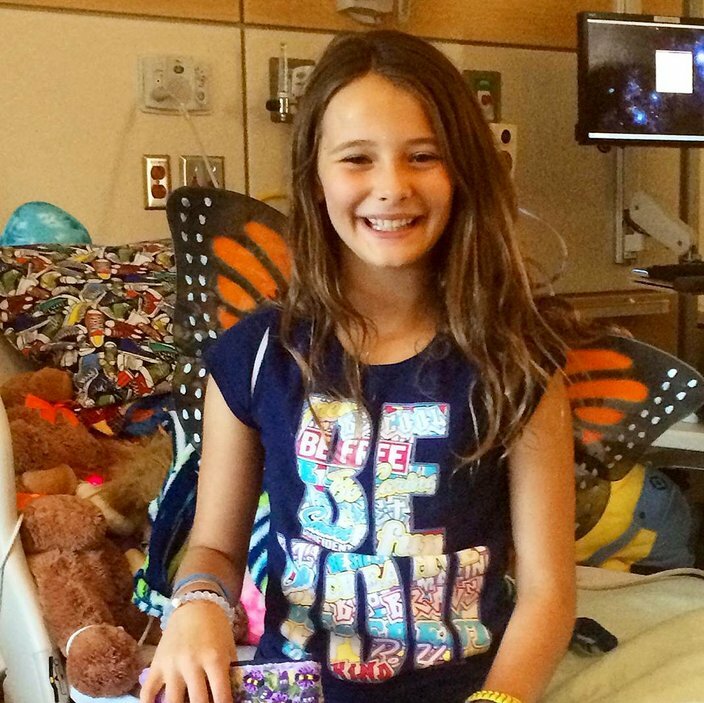 “What’s a miracle is how quickly Kendall has been able to recover. They gave us 8-to-10 years to obliterate her AVM. We’ve had a scan after her first treatment and it’s 80 percent gone. "She still remains a stroke risk," Gudel added. "She has been affected some by this, but she hasn’t been devastated by it. We don’t know what’s next. But we found out what we need to do. To help other AVM and aneurysm survivors, Kendall Kemm, 12, and her mother, sports reporter Leslie Gudel, founded Kendall’s Crusade. The organization will raise awareness with a Comedy Kickoff event on Saturday at the Valley Forge Casino. Kendall doesn’t think of herself as a courageous little girl. All of the needles, and the IVs, and tubes and beeping monitors, weren’t going to scare her, at least not visibly. She wore a contented mask to hide her concern. She thought she’d be the kid with the disability. The child that attracted the pity stares in public, stooped over a walker. She shared her fears about dying with her "confidants" – “Chubs” the stuffed bear, and Bodhi, the family’s Cavalier King Charles Spaniel – because she wasn’t about to worry her parents anymore. Gudel and Kemm admit they couldn't have gotten through the ordeal without each other. And they both agree the real tower of strength through it all was Kendall herself. “My brother Chase thinks I’m crazy sometimes, but I do like to talk to my stuffed animals,” said Kendall, laughing. Going into seventh grade, she walks with a slight limp and doesn’t have full use of her left hand, but physical therapy could change that. “I have this one bear when I was around three and I talked to him a lot, and when I went home, I spoke to my dog Bodhi a lot. He helps me use my left hand and all sorts of things. But I wasn’t going to tell my parents I was afraid to die." “A lot of kids look at the brace on my leg and think what’s wrong with me. People ask me if I was in an accident," she said. "There are different ways to handle it, and I’m feeling more comfortable. I’m playing softball a lot.